Learn how to cook two of Russia's most classic dishes during a private 3-hour culinary class in Moscow. 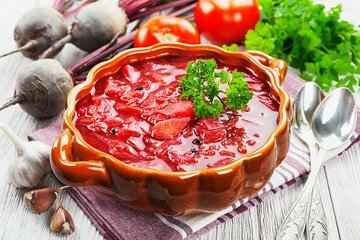 Immerse yourself in local food heritage alongside a professional chef who will teach you the skills to make both beef stroganoff and borscht soup. Get a first-hand account of the ways Russian food and culture intersect as you prepare each dish, then sit down to enjoy the fruits of your labor. When it's time to return to your hotel you'll be leaving with two new recipes—and one truly memorable experience—under your belt.